"I love the courthouse steps block. 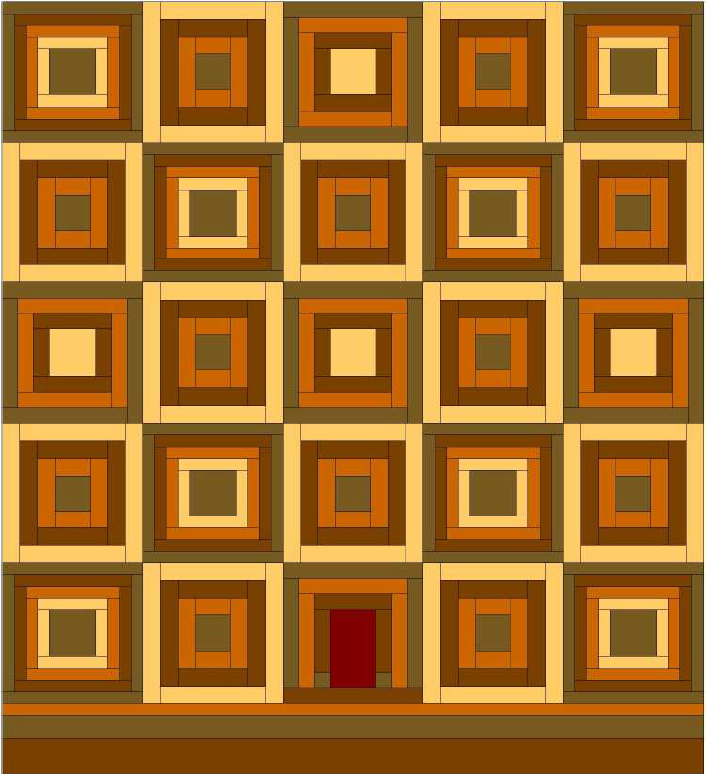 Initially, when I designed the quilt, I used 3 different courthouse steps blocks. 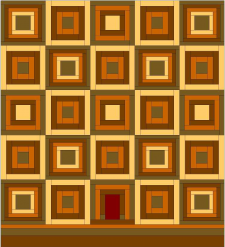 The more I looked at the quilt, the more it started looking like a building with windows. The title popped into my head and I added the door."